Good evening guys! I wanted to share with you a fun styling video on how to make the most of your summer wardrobe despite the fact that it’s cooling down a bit and we’re heading into autumn! So I decided to pick out 5 items which to me are typically summertime relates, city shorts, linen trousers, a swimming costume, a summer dress and crop tops and style them showing you how you can make them work for your autumn winter wardrobe! 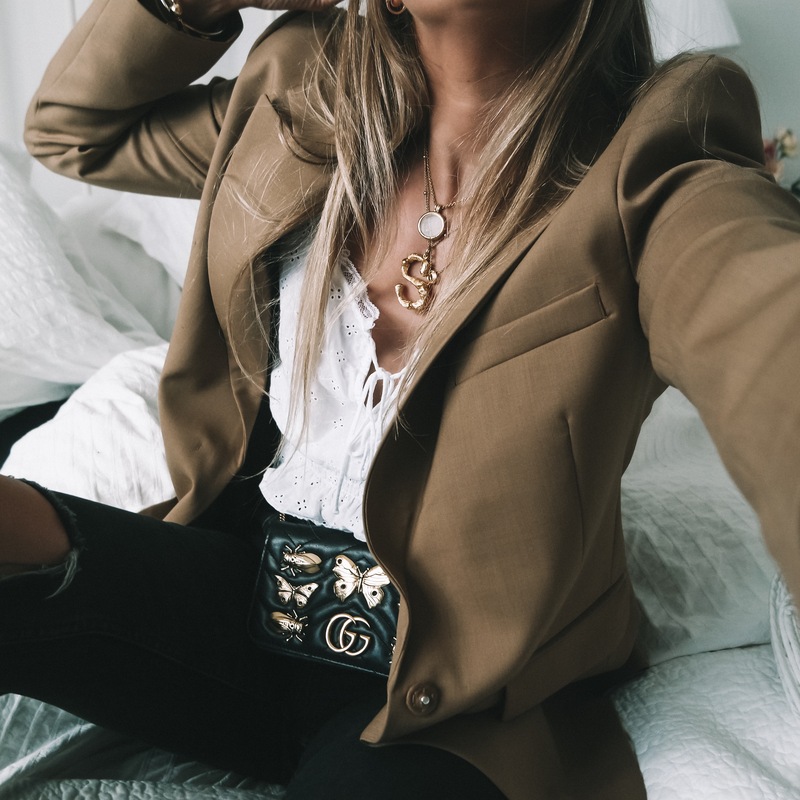 The main point of this is to help you to find some inspo on how to restyle your old pieces and make the most of what you already have in your wardrobe! If you did want to pick up any of the pieces then I have linked below the video all of the products, all you have to do is click on the images and you will be taken directly to the product pages! Make sure you let me know which is your favourite, i think actually either the linen trousers or the swimming costume are mine because they are just so typically summer that you probably wouldn’t consider styling them for this season. In fact I bet there are some people who have already popped them in a suitcase up in the attic until next summer! Well ladies, it’s time to pull that suitcase down and dust off those pieces! Wow wow wow I am in love with that Gucci bag with the butterflies. So beautiful. Where did you find your inital necklace? Would love one! Thank you! Could you tell me where to find your gold Initial Necklace? Love the light cowboys booties, whats the brand and where can I get them. Loved them all so inspiring ! Especially the one with the shorts and sweater so cool! The swimsuit outfit is my fave! I have too the habit of wearing Summer clothes for Fall, I never completely put them away until Winter arrives ?